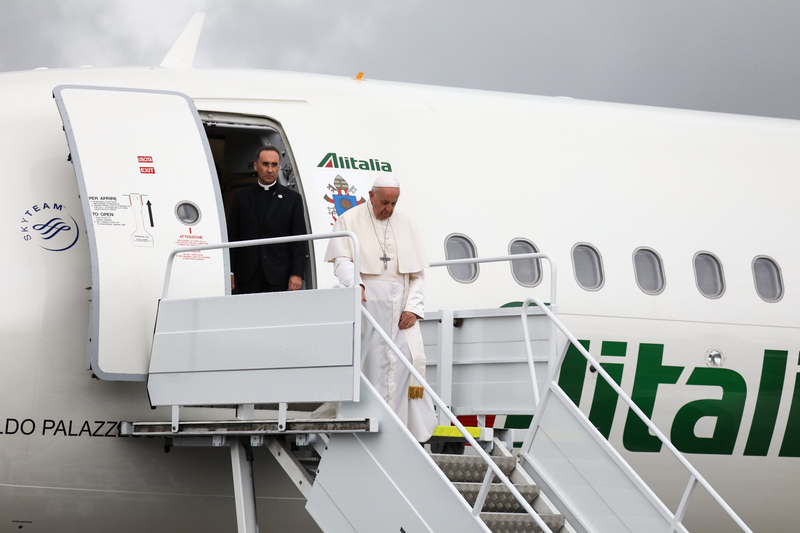 Pope Francis landed before midday at Vilnius International Airport in the Lithuanian capital to begin a two-day visit to the country. 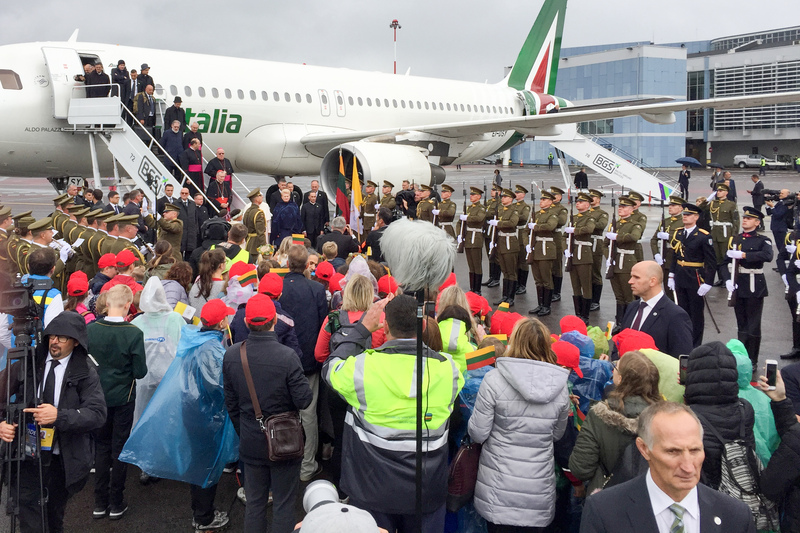 On hand to welcome him were Lithuanian President Dalia Grybauskaitė, Vilnius Archbishop Gintaras Grušas, who is President of the Lithuanian Bishops’ Conference, Fr. 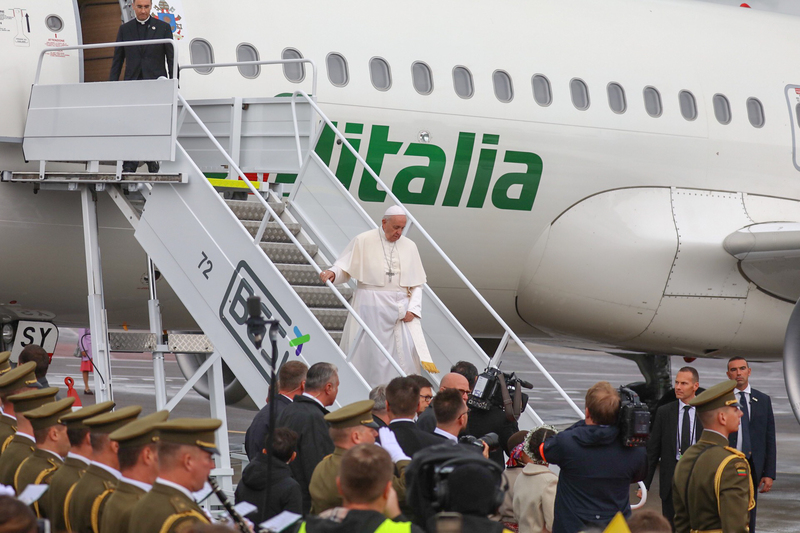 Saulius Rumšas, the Dominican priest who is the head of the Papal Visit Organizing Committee, and children from Catholic schools throughout the Baltic nation. 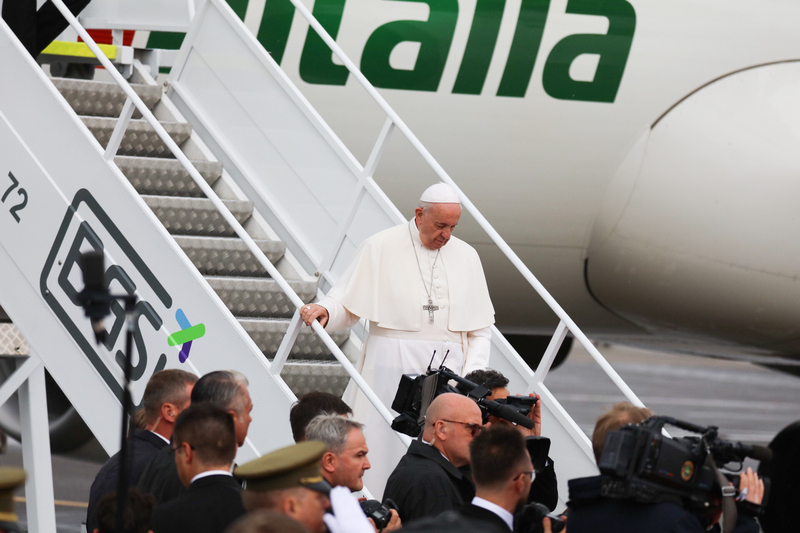 The children, together with their parents and teachers, came from 14 Catholic schools in Kaunas, Vilnius, Marijampolė, Kretinga and Panevėžys. 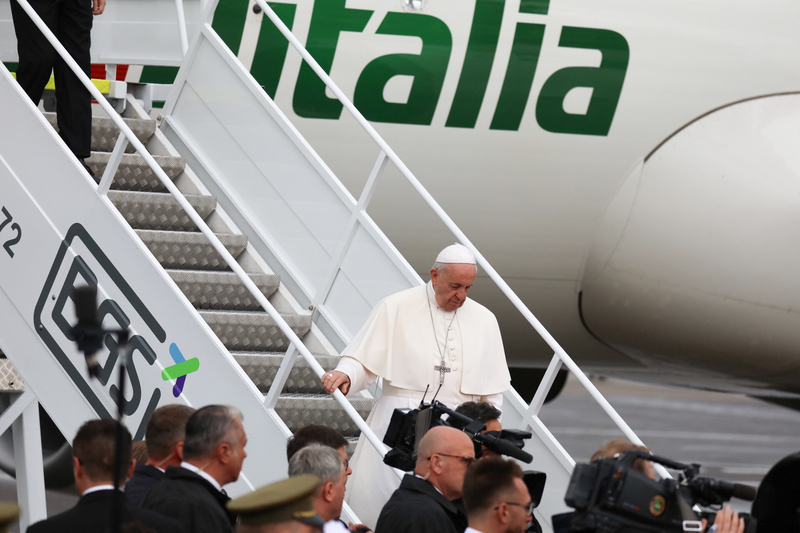 Dressed in traditional Lithuanian clothing, two children gave the Holy Father flowers and greeted him with phrases in Italian that they had learned. 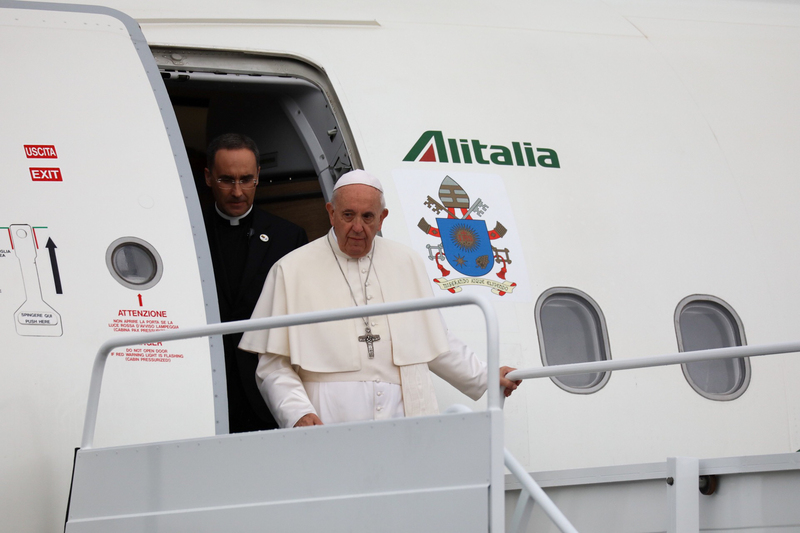 After the official welcome at the airport, Pope Francis departed for Daukantas Square.